SouthWest Water Company, which provides water and wastewater services in Pflugerville through Windermere Utility Company, named five Pflugerville Independent School District middle school students as winners of its annual writing contest, with the winning students receiving prizes ranging from $100 to $500. Students submitted more than 220 essays in the contest, with finalists selected from Cele, Dessau, Park Crest and Kelly Lane middle schools. 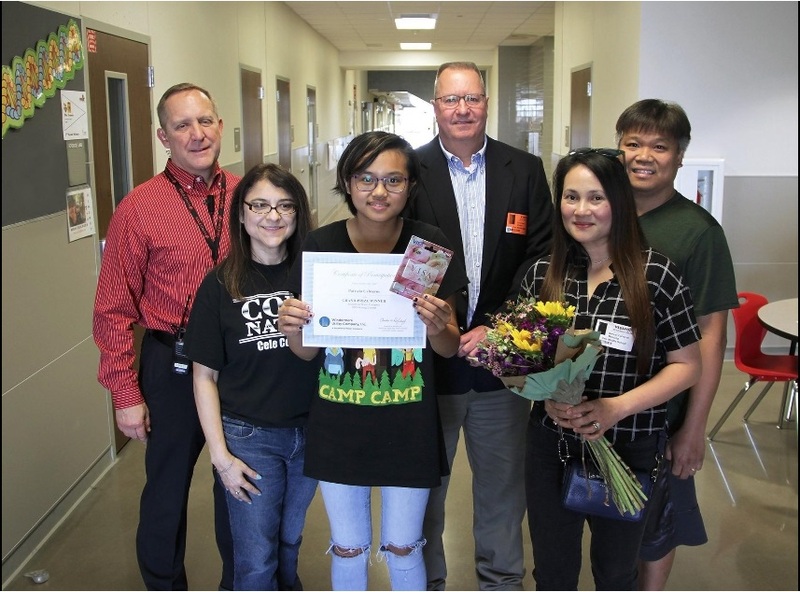 Cele Middle School seventh-grader Patricia Cabreros earned the grand-prize, winning a $500 gift card. Her essay will be published in the March 27 edition of the Pflag. Students attending Cele, Dessau, Kelly Lane, Park Crest, Westview and Pflugerville middle schools were encouraged to submit a creative story, poem or essay that discussed various water-related topics that impact their life or the world today. Contest scoring guidelines followed the State of Texas Assessments of Academic Readiness rules for expository essays. A panel of school district English and language arts teachers scored the essays.